When visiting Pagosa Springs Colorado, your proximity to the San Juan Mountains dictates that you take some time to enjoy this stunning national forest. Galles Properties in Pagosa Springs knows that a big part of the appeal of living in Colorado is the mountain lifestyle, which includes having fun in the woods. Whether you enjoy hiking, rock climbing, horseback riding, or just sitting quietly and observing, you will be able to find your happy spot in the forest. 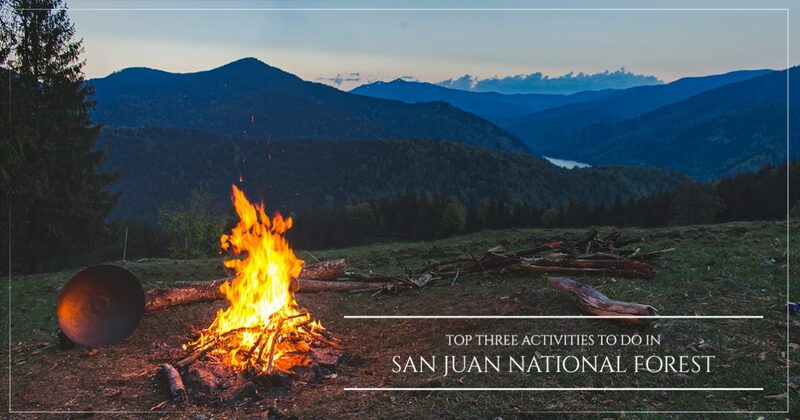 Today we will list some activities that you should be sure to try when you visit the San Juan National Forest. Contact Galles Properties and learn how we can help you with all of your Pagosa Springs real estate needs. With literally hundreds of trails to choose from, you are sure to find more than one that you will consider your favorite. With hikes ranging in length and difficulty, there are trails available for hikers of all abilities. Before you head out for a hike, make sure you have checked the weather for the day, as the climate in Colorado can change rapidly, and the weather inside of the forest is usually different as well. If you have brand new hiking boots, make sure to break them in before you go on a day hike, your feet will thank you. In addition to hiking boots, the socks you choose are also very important for your comfort and well-being. Poorly chosen hiking socks and boots can cause blisters, as well as make you susceptible to more serious injury if you were to trip on a rock or tree root. Check the San Juan National Forest website to view a complete list of trails, along with all of the information you need to know about each one. What better way to explore Colorado than on horseback like they did in the “old days”. Horses used to be the fastest way to get from one place to another, and even in this day and age, there are still areas in the mountains that you cannot access with a vehicle. Explore stunning landmarks nestled deep in the public lands of Colorado, and enjoy breathtaking vistas above the Continental Divide. While there are many gorgeous locations in Colorado to enjoy horseback riding, when you are in Pagosa Springs, you should make sure to explore the Weminuche Wilderness. Due to the immensity of this area and the beauty that you will not want to miss, you should make sure to plan on a multi-day pack trip, as many of the scenic vistas are more than a day’s trip from the stables you are likely to use. Nothing goes better together than forests and camping. Whether you choose to rent a cabin for the night, find a location to park your RV, or tent camp, you are sure to find a wide variety of campgrounds in the San Juan National Forest that are suitable for your needs. 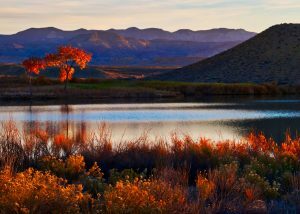 Explore Colorado like you’ve never seen it before when you spend a night camping in the woods near a fresh, mountain-fed lake or stream. You may have the opportunity to see moose or elk in their natural habitat, and if you’re a birder, then you will be thrilled to catch glimpses of some of the raptors that call the mountains home. Make sure to pack your camera to capture the stunning views and unique wildlife you see. You may be removed from all of today’s technology, but with wonderful camping tips abounding on the internet, you are sure to find some ideas to make your time in the woods even more enjoyable. Living the mountain lifestyle is unlike anything else, and we understand why you may want to call this place your home after visiting. From camping and fishing to hiking and trail riding, there are so many fun activities for everyone to experience life in the mountains. When you decide that you are ready to check out Pagosa Springs real estate, be sure to call Galles Properties to learn how our years of experience and industry-specific knowledge can help you find the home of your dreams. We value our customers’ satisfaction and will work to meet all of your needs. Call us today and make the mountain lifestyle yours.